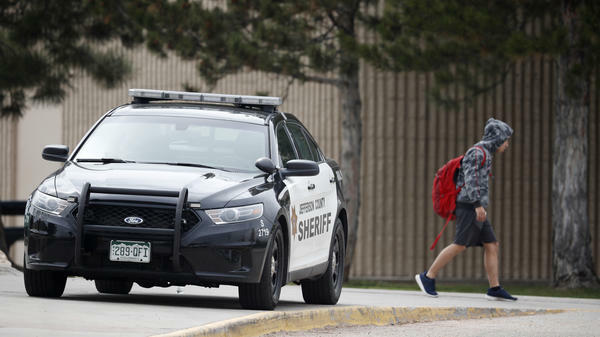 More than a dozen school districts in Colorado are closed Wednesday after the FBI and local law enforcement warned of an 18-year-old white woman who is "armed and dangerous" in the Denver metropolitan area. Pais had "made some concerning comments in the past" and had an "infatuation" with the 1999 Columbine High School shooting and its perpetrators, Phillips said at the press conference. She was last seen in the foothills of Jefferson County, in the metro Denver area. As of now, if Pais were found immediately, "we will certainly hold her for as long as we can legally," Phillips said. In the time since, Jefferson County Public Schools has built what The Washington Post described as "likely the most sophisticated school security system in the country," with remote-control locks, cameras, a 24-hour dispatch center, monitoring of certain students and their social media accounts and more.